As anyone who is even remotely interested in photography will tell you, on camera flash is terrible, the lighting it produces is harsh and unflattering. 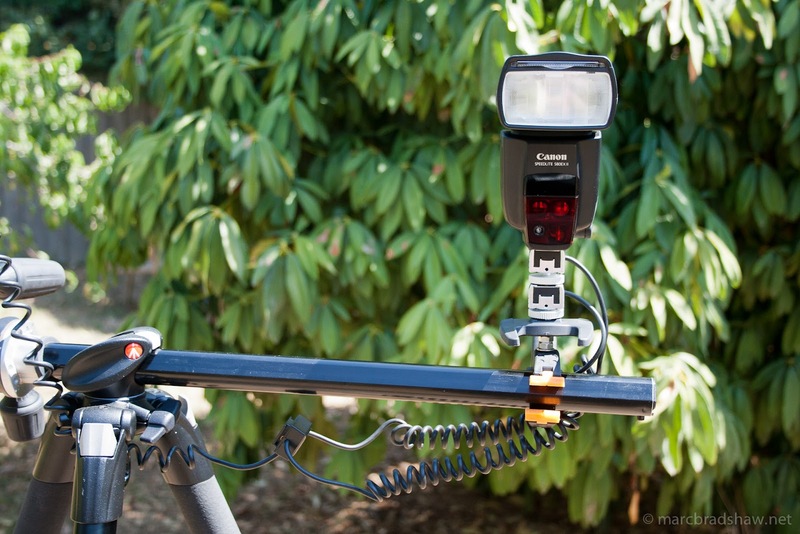 Mounting an external flash on the hot shoe of your camera is a step up, but it is still right in the centre. Much better lighting can be obtained by moving the flash off to one side. 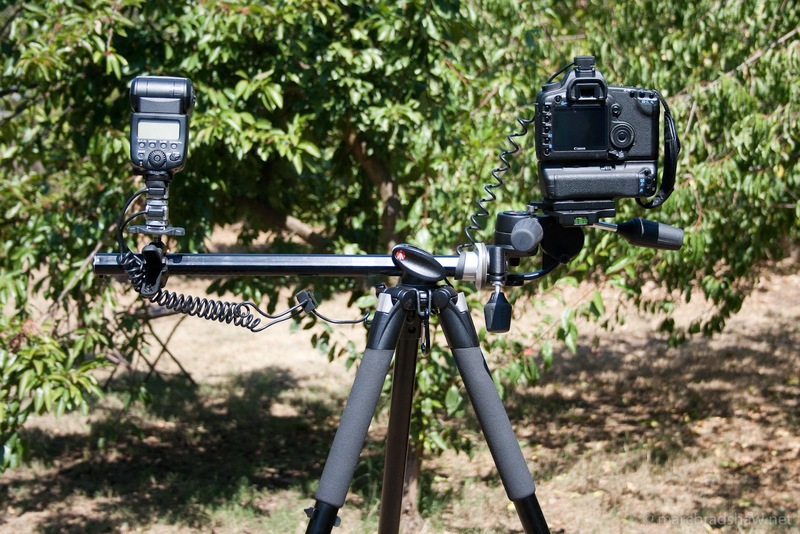 My tripod is one of the fancy Manfrotto pro range, which includes the ability to swing the centre column around to a horizontal position. This is meant for getting the camera down low, but can double as a handy bar on which to mount a flash. All that is needed is a bracket to mount the flash to the bar, and some way to connect it electronically to the camera. These systems can cost several hundred dollars if purchased, but can be made for a fraction of that. I have a tripod mount for my flash, so a standard tripod screw mount will do as an attachment. A bit of Googleing revealed that the standard thread size is 1/4"-20. 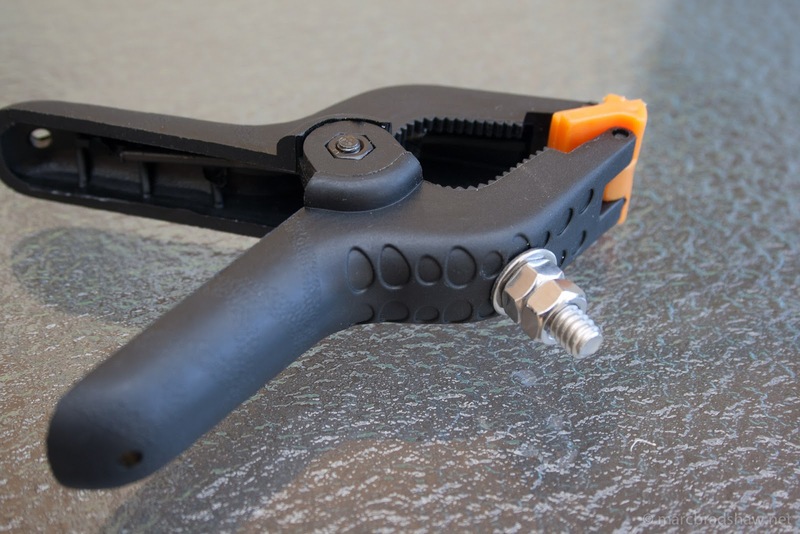 Armed with this information I went off to Bunnings and purchased a suitable plastic clamp and fittings for less than 15 dollars. 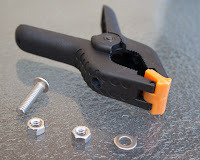 Drill a suitable hole in the clamp, feed the bolt through and secure with the washer and the nuts. 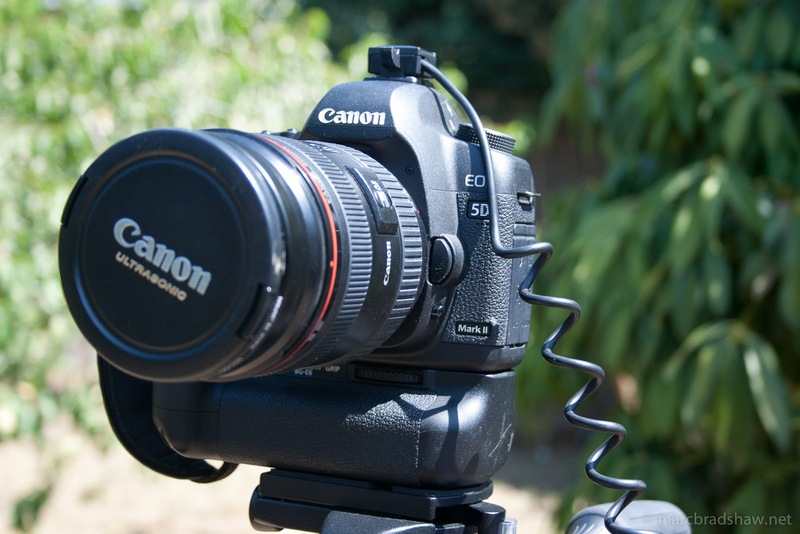 The Off camera lead is used to attach the flash to the connections on the hot shoe of the camera. The model I have has connections enough for 2 flashes, I have these connected together to avoid the spare one hanging down, however only the top one is electronically connected to the flash. Much of this was guess work, maybe I will make another, improved version in the future. I would advise caution when using such a system, while the clamp I chose attaches the flash to the bar it isn't as secure as a store bought system, the flash can dip sometimes and it wouldn't take much to dislodge it completely, and nobody likes it when expensive equipment hits the floor. Another trip to Bunnings may be in order to try and find a more secure clamp. The length of the screw also makes it difficult to tighten all the way with the flash attached. This could be fixed by adding more washers or shortening the length of the bolt.